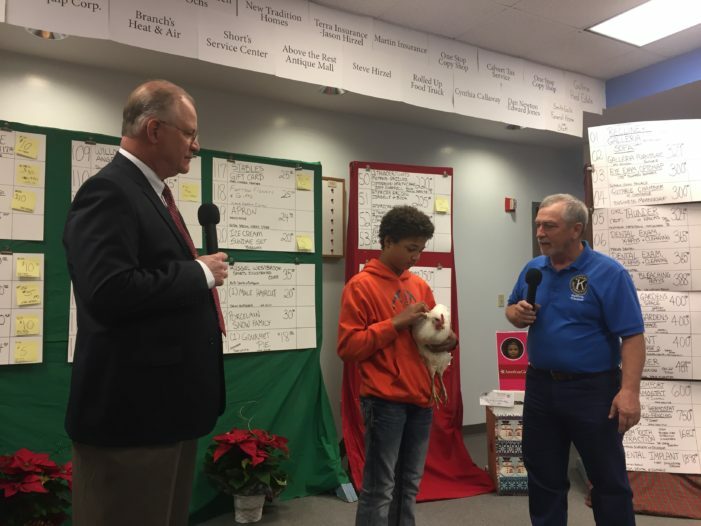 The annual Guthrie Kiwanis Christmas TV Auction begins Saturday morning at 10 a.m. There are three ways you can watch: inside Guthrie City Hall, City of Guthrie’s GTV20 (Cox only), or live on Guthrie News Page’s Facebook page. Due to Facebook restrictions, there will be three different streams on GNP Facebook with start times of 10 a.m., 1 p.m. and 4 p.m. on the GNP FB page. Once you find your item(s) be sure to call and place your bid. See the phone numbers below. The auction ends at 7 p.m.
All proceeds go to help the children of Guthrie.